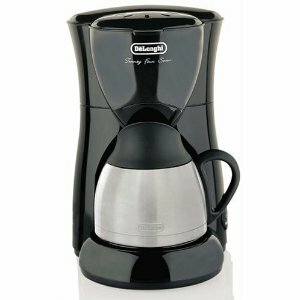 How is a delonghi 4 cup coffee maker compare with a keurig single cup? How is a delonghi 4 cup coffee maker compare with a keurig single cup? This is all what my friends ask me because I love my 4 cup coffee maker. I started originally with a single cup coffee maker when I was still single and I was living alone. But after getting married and having a child, there is a higher demand of coffee at home since my wife is also a coffee drinker like me. Both of the coffee makers make really excellent coffee and are very easy to operate which is the usual trait of a delonghi coffee maker.